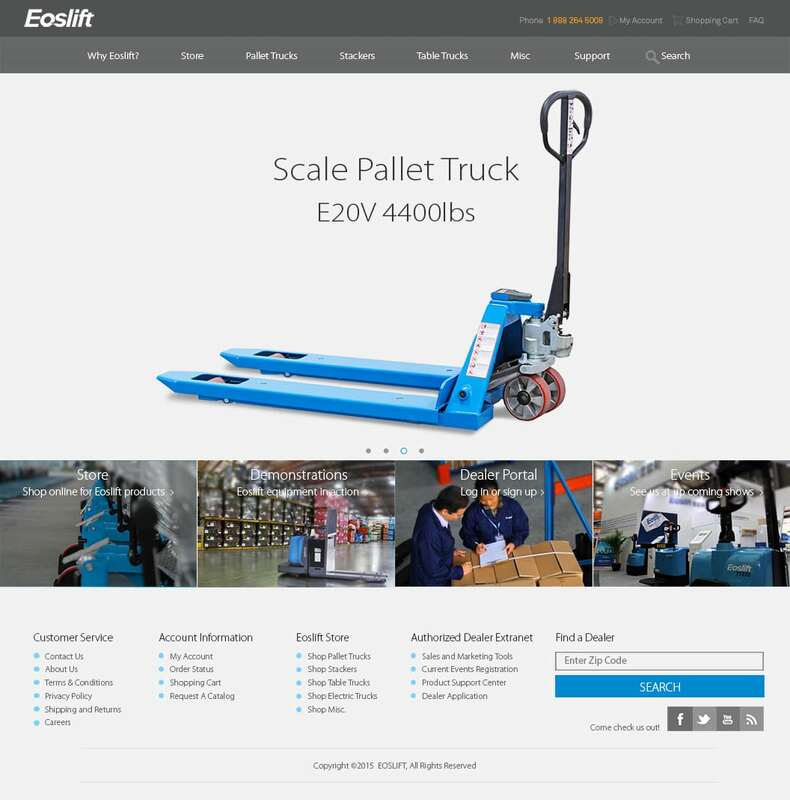 Eoslift designs, manufactures, and distributes professional manual and electric pallet trucks, stackers, and other equipment, and delivers efficient solutions to meet the demand of global customers. StraightFire Marketing skillfully organized and designed a website that target customers could easily navigate through with minimal clicks or searching. 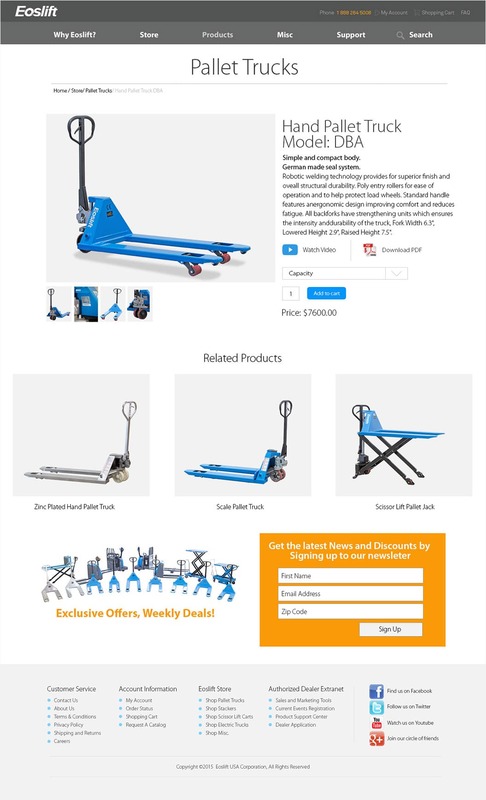 The increase of sales for Eoslift is largely due in part to their new and improved, intuitively designed website. When our clients succeed—so do we.